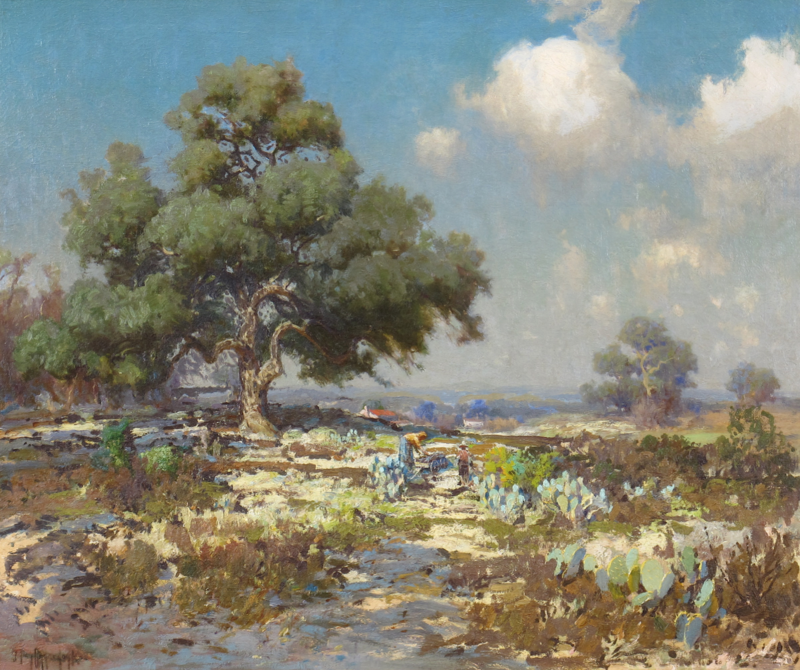 “Bluebonnet painter” has become synonymous with Texas kitsch, but that’s no reason to ignore the impact of early San Antonio artist Julian Onderdonk (1882-1922). Justly famous for his flower-strewn Hill Country landscapes, the greatest damage to the genre has been done by his legions of far less-talented imitators. Instead of the state’s father of bad painting, Onderdonk should be regarded as a major American Impressionist artist of the early 20th century comparable to Childe Hassam, John Henry Twachtman or Mary Cassatt. 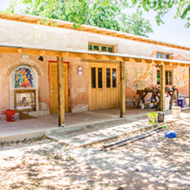 However, the culmination of San Antonio art dealer Harry Halff’s 20-year research project, Julian Onderdonk: A Catalogue Raisonné (Yale University Press, $100), has sparked a re-examination of the city’s most popular yet critically underappreciated artist. 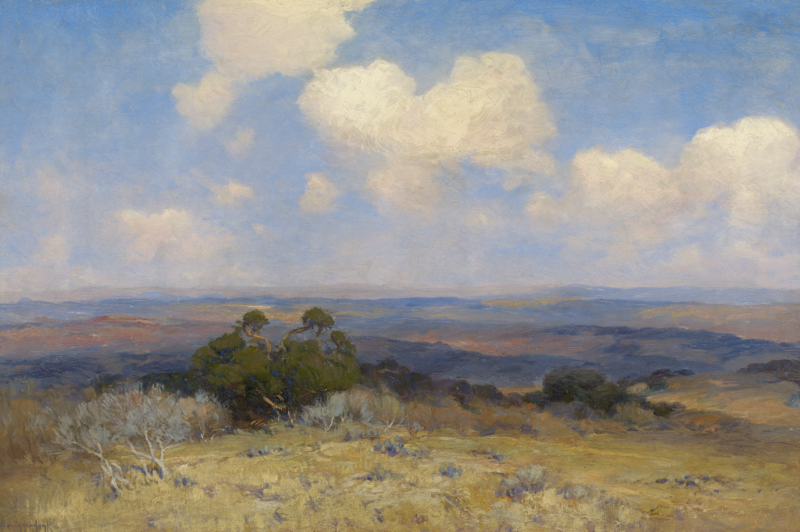 An accompanying exhibit, “Julian Onderdonk and the Texan Landscape,” on view through April 23 at the San Antonio Museum of Art, reveals a thoughtfully observant plein air painter with exceptional sensitivity to the beauty of nature, light, textures and changing seasons. Armed with file cards the artist kept in his studio, Halff spent two decades trying to track down every drawing, watercolor and oil painting that Onderdonk completed — more than 1,200 pieces illustrated in the catalog along with a record of ownership, or provenance. Onderdonk sold his works for as much as $750 during his lifetime, but today his paintings command anywhere from $20,000 to more than $300,000. 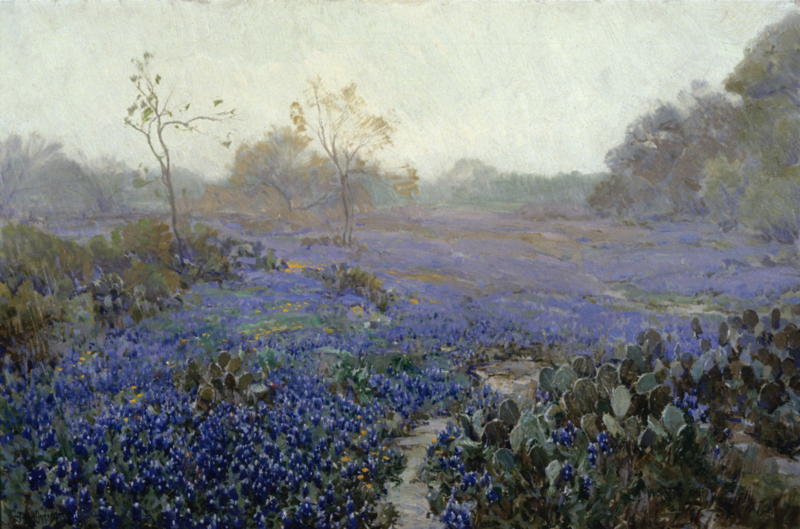 More than pretty pictures, Onderdonk’s paintings provide an alternative view of the Texas myth, according to the catalog essay by art historian Emily Ballew Neff. Instead of the hardscrabble, masculine image of dusty West Texas that’s become a national stereotype (see Hell or High Water), Onderdonk’s paintings faithfully recorded the verdant, subtle beauty of the Hill Country, which Neff says macho writers such as J. Frank Dobie equated “with sensitivity and effeminacy and contrary to the rough-and-ready Western qualities” that define Texas mythology. 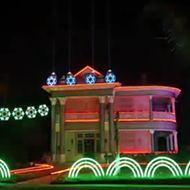 Several beautiful bluebonnet paintings are featured and perhaps the best is SAMA’s Near San Antonio (1918), which President George W. Bush borrowed to hang in the White House. With looser, much more impressionist brush strokes than Onderdonk’s earliest works, a sea of blue splashes across rolling hills beneath a limestone cliff. But other paintings, A Field of Cactus in Bloom, San Antonio, Texas (1915) and the yellow-orange Coreopsis in Bloom (1915-1916) reveal Onderdonk was interested in more flora than just the state flower selected by the Texas Legislature in 1901. The mysterious yet enticing A Pool on the Guadalupe (1913) has almost translucent emerald water flowing over the limestone river bed. The stark, preternaturally still Blue Wing Lake (1916) beneath a yellowed sky evokes the earth tones of Twachtman. The pellucid Sunlight and Shadow (1910) has sentinel-like red oaks on a ledge overlooking rolling blue hills, while in one of Onderdonk’s best paintings, A Road in Late Afternoon (1921), a white caliche road cuts through a gray, green and brown landscape with nary a bluebonnet in sight. 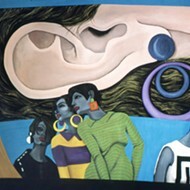 Nowadays, San Antonio painters recoil from the city’s most notorious art cliché, but for a witty response to bluebonnet overkill, check out Mel Casas’ Humanscape #57 in SAMA’s second-floor contemporary galleries.